The chess_pgn_graph() function returns a MultiDiGraph with multiple edges. Each node is the last name of a chess master. Each edge is directed from white to black and contains selected game info. where game_info is a dict describing each game. with the Najdorff 7...Qb6 "Poisoned Pawn" variation. """Read chess games in pgn format in pgn_file. Filenames ending in .gz or .bz2 will be uncompressed. 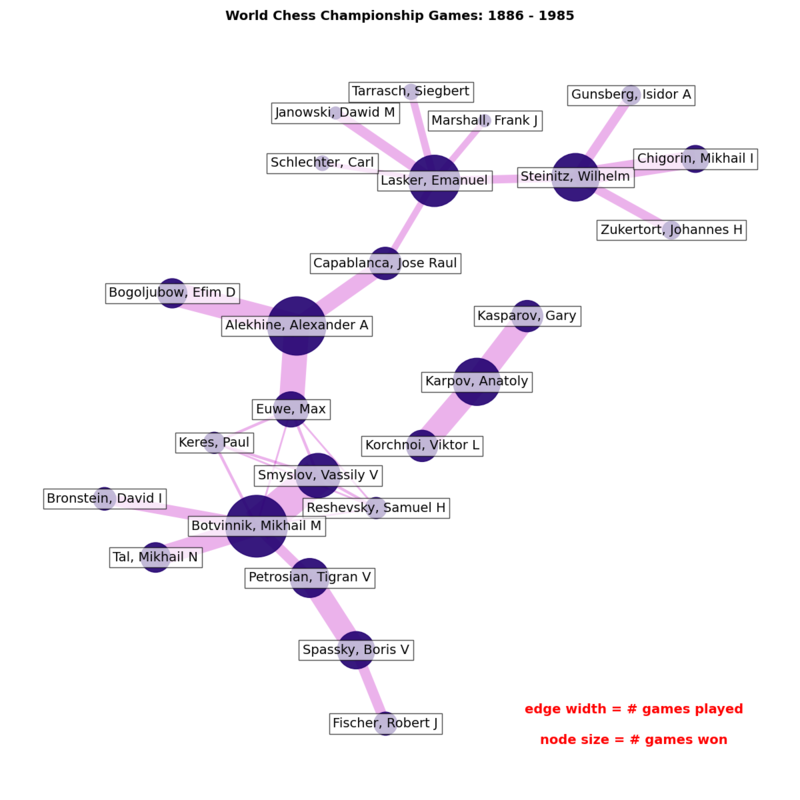 Return the MultiDiGraph of players connected by a chess game. Edges contain game data in a dict. print("Loaded %d chess games between %d players\n"